Rarely have I been to a conference with so many diverse global attendees as there was in Halifax last week for the Airports Council International (ACI) Customer Excellence Global Summit. Countries from 6 of the 7 continents were in attendance – no one from Antarctica surprisingly – to learn about delivering great customer satisfaction, share ideas, and to celebrate those airports that received very high Airport Service Quality (ASQ) scores. As I learned at this event, ASQ scores are determined by polling airport travelers and asking them about their experiences and satisfaction. And why – you ask – was SolutionInc in attendance? Wi-Fi! It has become a key metric in how travelers feel about their airport experience. Whether you’re travelling for business or pleasure, everyone needs to connect; It is no longer a luxury for travelers to have Wi-Fi, but a requirement. 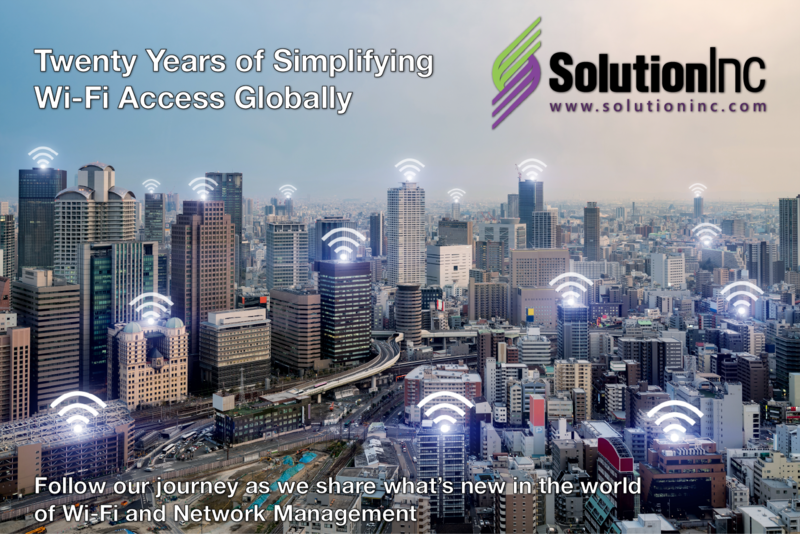 SolutionInc is a global leader in Wi-Fi solutions and has been working with airports for years in ensuring their customers are receiving the most reliable and efficient Wi-Fi experience possible. Although only a small portion of airports worldwide receive awards for their ASQ scores, we were pleased to see that a couple of them were using SolutionInc technologies. With our on-prem, hybrid, and cloud solutions available, our failover capabilities, managed eSDN services, and partners in 50+ countries, airports can be secure in the knowledge SolutionInc’s Wi-Fi will provide the extra capabilities that the standard off-the-shelf Wi-Fi vendors just can’t provide. Also, our kudos to the staff at the Halifax International Airport Authority (HIAA) for hosting this event and setting the standards so high for future hosts and for receiving a rating by passengers as one of the best airports in the world. Nova Scotia and Canada were well represented with local cultural and music acts, and the new Halifax Convention Centre was a majestic venue sitting above the harbour and below the Citadel, nestled in the Halifax downtown core. It was a super venue for conference attendees to experience the city. Safe travels to all our international delegates and I hope your Wi-Fi is by SolutionInc. Right: Beth Hamilton, Product & Marketing Manager at SolutionInc.